A young athlete nearly lost his life to a toothpick he did not even know he had swallowed, a medical journal reported. The 18-year-old’s harrowing, nearly three-week-long episode was described by The New England Journal of Medicine, and involved a 3-inch long toothpick from a sandwich that made it through the teen’s digestive tract, but poked through the intestinal wall and pierced an artery. Nobody saw it — despite blood tests and scans — until doctors operated on the deathly ill youngster at Massachusetts General Hospital. The boy’s ordeal, described by the The New York Times, began when the teen — described as a professional athlete who was on the road with his team for training — developed a fever and pain in his right lower abdomen, visited an ER and was discharged after doctors could not come up with a definitive diagnosis. Two weeks later, with a return of pain and bloody bowel movements —and a fever of 103 —the teen visited an ER in a different city; this time, an MRI found nothing. He was sent back to his family ]and two days later, was seen at Mass General in Boston, where doctors ordered a colonoscopy. The teen’s condition suddenly worsened, however, and he was in perilous danger of septic shock, the Times reported. When doctors got him onto the operating table, they found the troublesome pick. But removing it triggered a whole new set of life-threatening events that would need several operations to fix, the Times reported. The youngster ultimately told doctors he recalled shortly before he first became ill, he had eaten a sandwich that did not go down so well — likely the one that had a toothpick in it. The group Patriot Prayer is considered controversial in some corners, mostly because it’s a right-wing group with right-wing ideals. That alone makes it persona non grata in a lot of places. But the group also has a sizeable base of support. Now, the group wants to use that support to urge local governments to resist draconian gun laws in its home state. Of course, what the paper leaves out is that Patriot Prayer’s also met by violent counter-protestors who are outright hostile against anyone who doesn’t hold an extreme leftist view of the world. I’d argue there are better grounds for gun sanctuary communities than immigration sanctuaries. By urging communities to do so, it undermines the very foundation of I-1639, making it useless outside of places like Seattle, which is fine. If Seattle wants to keep it, it can. The rest of the state can live free if it wants and ignore the absolute nonsense. At least until such time that the law is overturned by the courts, which is something that most definitely should happen. Furthermore, these measures may well prevent further infringement on people’s rights. After all, what’s the purpose of passing a law that you know no one will follow? I mean, people might still do it–no one has accused them of being intelligent overall–but the idea of it being ignored will require consideration. And then these communities will already be prepared to hoist the middle finger. One of the nicest things about working in a think tank like AEI is having the ability not only to engage in current policy debates, but also to delve into academic work. My best year in Yale’s graduate school was having a year, absent classes, to do nothing but read core literature — hundreds of books and articles. So, while this blog post may not touch upon the headlines of the day, it is important to give shout-outs to stellar and quality work which bolsters a field, in this case, Middle Eastern and Iranian studies. Some background: Decades before “fake news” became a problem in coverage of contemporary events, the same phenomenon descended upon the academy with the embrace of Edward Said’s “Orientalism,” a book which promoted politics and feelings over research and fact. The late Princeton historian Bernard Lewis exposed the fallacy of Said’s work in a New York Review of Books essay. The corrosive legacy of Said’s trendiness in the academy and, especially in the study of the Middle East, has been well-documented by Martin Kramer. Forty years after “Orientalism’s” publication, the net result is that there have been relatively few useful or accurate historical works published to illuminate new aspects about the Middle East. Simply put, too often, theory has supplanted libraries, archives, and concrete research in the illumination of knowledge. There have been exceptions, of course. Nicholas Krohley’s “The Death of the Mahdi Army” is, hands-down, the best assessment of the 2007 Iraqi troop surge, largely because, rather than substitute research for hagiography of and access to General David Petraeus or to rely on US documents, Krohley did the hard work of going neighborhood to neighborhood surveying how residents viewed both the United States and how they interacted with Shi’ite firebrand Muqtada al-Sadr’s militia. 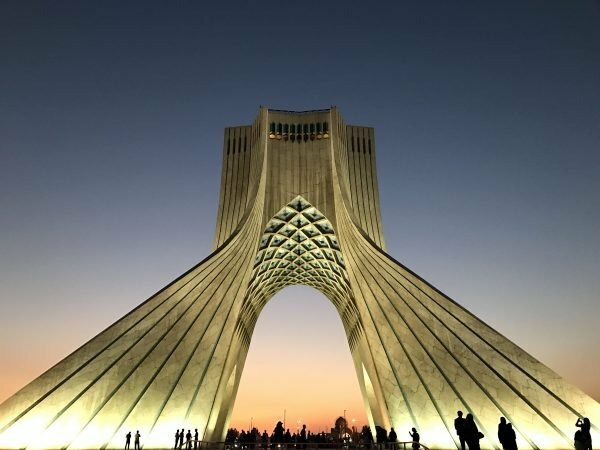 Abbas Amanat’s “Iran: A Modern History” likewise is a serious and grand survey of Iranian political and intellectual history, at least up to the Islamic Revolution. How fortunate it is for Iranophiles and serious students of the Middle East that Amir A. Afkhami, a polyglot medical doctor, professor of psychiatry at George Washington University, and a Yale-trained historian, has now published a completely new history studying the interplay between imperialism and public health in nineteenth and twentieth century Iran. In “A Modern Contagion: Imperialism and Public Health in Iran’s Age of Cholera,” Afkhami explores how Iran (or Persia as it was known until 1935), in its position as the literal and figurative crossroads between east and west, faced an Asian pandemic but was after many decades able to apply new Western standards of and procedures for sanitation and public health. Afkhami is no apologist for imperialism. He notes how the Great Game competition between Great Britain and Russia paralyzed international health and sanitation conferences but, at the same time, he gives credit for how Western standards and practices helped Iranian authorities address and overcome public health challenges. The Iranian government does not come off smelling likes roses. Even though most scientists understood by the 1890s that cholera was waterborne, the Qajar-era shah and his various administrators were too distracted by administrative and fiscal crises to do what was necessary to repair Iran’s systems. Such internal dysfunction and infrastructural maladies amplified the impact of Asiatic cholera when it first appeared. Here, there is a lesson that can easily be extrapolated for more modern pandemics — Bird Flu in Asia and Ebola in Africa, for example. Afkhami also shows how domestic understanding about the nature of disease grew alongside both advances in scientific and medical knowledge and as a cadre of native medical experts grew. Perhaps this to provides some lessons for the superstition and conspiracy hampering pandemic treatments in Congo and elsewhere. Western aid organizations and NGOs may feel and do good sweeping in to address immediate problems, but the more solid response involves ensuring that developing countries have solid and meritocratic medical schools in order to spread ownership over public health to indigenous citizens rather than make it the domain of foreign aid workers. Against today’s intellectual atmosphere which holds that criticism of the West is admirable, but criticism of other cultures and religions is contemptible, Afkhami pulls no punches. Based on Islamic prophetic tradition, many Iranians believed that a water’s flow made it suitable for consumption unless there was visible impurity. Therefore, there was little compunction to wash corpses in and drink water from the same streams. Combating such conventional wisdom took decades, and had life and death consequences. Today, combating myth and recognizing that an appreciation for cultural understanding does not mandate apologia for negative manifestations, superstitions, or belief is too often sacrificed upon the altar of political correctness. The real tragedy of Iran’s tale — and an episode that explains the xenophobia many Iranians embrace regardless of whether or not they support today’s clerical regime — is that so much of the progress which Iran made through the late nineteenth and first decade of the twentieth century was erased when allied powers invaded and fought on Iran’s territory, disrupting food production and spreading disease. Afkhami notes that Iran lost more citizens to war-related diseases than the war’s belligerents lost in the trenches. The Spanish influenza which killed up to one-fifth of Iran’s population was just the icing on the cake. “A Modern Contagion” will not be a bestseller — it is far too substantive and serious for that, alas — but it does demonstrate both that traditional historical inquiry, at least when it comes to the Middle East, need not be dead, unreadable, or subordinated to theoretical gobbledygook. It is a great work which any serious Middle East, Iran, public health, or medical history scholar should read. Not surprisingly, the election-campaign war room of former Chief of Staff Benny Gantz uses military terminology. “Strategic concept,” “campaign clock,” “assessments” and “deployment” are just some examples of the barracks lingo. With the mission of co-opting another ex-chief of staff, former Defense Minister Moshe Ya’alon, accomplished, Gantz’s headquarters noted that the “right flank” is protected. Ya’alon, head of the newly formed Telem party, brings with him Eshel Armoni, a former senior Mossad official who has already misspoken. In a radio interview, he reflected on the possibility that Telem would break away from Gantz’s Hosen L’Yisrael party if there’s a dispute over whether to join a government formed by Benjamin Netanyahu. The balloons from the launch event of Gantz’s party in Tel Aviv hadn’t yet been gathered up, and already he was talking about a split. Good luck to them. Ya’alon has also brought in two more familiar faces: a former cabinet secretary, Zvi Hauser, and a former director of communications and public diplomacy in Netanyahu’s office, Yoaz Hendel. How many Knesset seats are they worth? Zero. Their value lies in their right-wing image. It’s not for nothing that they considered joining Naftali Bennett and Ayelet Shaked in their New Right party. Gantz, who suffers from a range of left-wing stereotypes, needs the kashrut stamp of the likes of Ya’alon, Hauser and Hendel. But what about the substance? Ya’alon, for example, is a proponent of West Bank settlements; in the past he fantasized about bringing “a million settlers to Judea and Samaria.” Gantz stated clearly in his party-launch speech Tuesday that for him only the three main settlement blocs deserve to be strengthened, possibly in a unilateral move, in the absence of an agreement with the Palestinians. The implication is that the isolated settlements will be evacuated, an option Ya’alon has never supported. Or take the nation-state law. Hauser was one of its framers. He believes that it’s a flawless creation. Gantz has undertaken to amend it. That was his first campaign statement, in a meeting with representatives of the Druze community. Both sides are aware of these substantive differences, but the mutual interests take precedence: Hauser and Hendel are dying to get into the Knesset. Gantz believes they’ll be an effective flak jacket in the campaign. And afterward? We’ll cope. Ya’alon’s party has received five slots in the first 20 places on the Hosen L’Yisrael slate. That’s a phenomenal achievement for a party that has never had to demonstrate whether it can make it across the electoral threshold. So how many places will Orli Levi-Abekasis get if she teams up with Gantz? Her Gesher party manages to keep above the threshold in the polls most of the time. Levi-Abekasis will insist on at least six slots in the first 20, and rightly so. If 11 of the first 20 places go to other parties, will the chairman and founder find himself in a minority in the Knesset, trying to resolve ideological and personal differences between factions and ego-inflated leaders like Ya’alon and a new star like Levi-Abekasis? A conceptual supermarket in large parties isn’t an invention of Lt. Gen. (res.) Gantz. In 1992, Yitzhak Rabin had various streams in the Labor Party, from Mapai-style right to Meretz-type left. But all of them were in the same band, committed to one conductor holding the baton. When the musicians are accountable to different leaders, the result could be cacophonous. All we can do then is wait for the decisive period in the third week of February. Netanyahu’s worst nightmare (other than the vision of the cold bars of a prison cell closing behind him) is that 36 hours before the deadline, Gantz and Lapid – and perhaps also a third former chief of staff, Gabi Ashkenazi – will execute an “October surprise” and announce a merger. The brief time remaining won’t let Netanyahu convene the Likud Central Committee, as the party’s constitution requires, to approve a counter-merger with Naftali Bennett’s new party or Moshe Kahlon’s Kulanu, or both. That’s the advantage enjoyed by parties dominated by one person whose word is law, and the Achille’s heel of democratic ones. Netanyahu is worried and upset. There’s always value in being anxious, but the prospect that Lapid will relinquish the number-one slot and join Gantz is very low. Maybe nonexistent. If there’s one person who prays every day for Lapid not to crack, to show a little hosen – resilience – it’s the prime minister. At the moment, it’s Lapid who appears to be putting the brakes on a merger. And he has a case. In private conversations, Lapid tells interlocutors: For me it’s all or nothing. I came to politics to change things. I built a party, I soared and plunged, I created a well-oiled machine of ardent activists. The moment I hook up with Gantz and he makes me a minister, I’ll no longer be perceived as an alternative. Worse, the moment I hook up with him and he’s not elected prime minister, I’ll be finished. My role in politics will be over. I’m aiming for the premiership. I’m patient, I’m not in a rush, I’ll survive Gantz, too. If necessary, I’ll be the opposition leader in the next Knesset. I’ll wait for the end of the Bibi era, and will still be seen as an alternative. Because I didn’t give in. Momentum. That’s the magic word. That’s what Gantz brought to a despondent, depressed, disappointed electorate that was preparing for more bitter frustration on April 9. Suddenly, there’s a chance. All of a sudden, the situation doesn’t look terminal. There is life before death. Gantz projected calm sanity, affability and the normality that half the nation craves. He can be believed when he says his government won’t incite wildly against the judicial system, the police or the media. He can be believed when he promises that the winds of factionalism, incitement and instigation, which have become part of the daily menu in Israel, will disappear with him in the cockpit. That’s also what makes Gantz, in Israel’s current reality, into a leftist and a troublemaker – his standing behind the rule of law. When it comes to policy, however, Netanyahu could have signed on to nearly every line uttered by Gantz – what he said about the Jordan Valley, the Golan Heights and the most absurd cliché of them all, “A united Jerusalem.” He couldn’t even muster the courage to commit to separating from 22 Palestinian villages in East Jerusalem, with their 220,000 residents. Eighty percent of center-left voters support such a move, and in the past, even a majority of the right is in favor. Gantz did not rule out, and apparently will not rule out, sitting in a Netanyahu government, if one is formed, until formal criminal charges are filed against the premier. This too is troubling. For those who are not his natural partners, the idea of participating in a Netanyahu government must be completely ruled out not only because of the investigations and the incitement and the fear-mongeiring and the crazy family, but because of his policies. A policy of of “managing” the conflict, of stasis, of a lack of initiative and preserving the rule of Hamas. In all likelihood, the person we heard speaking on Tuesday night was Israel’s next defense minister. Netanyahu will offer him the position a minute after the polls close on Election Day. Twenty-four hours after Gantz’s maiden political speech, the polls seemed to go berserk. According to four surveys published on Wednesday (by the website Walla and three television stations), Hosen L’Yisrael has surged to the equivalent of 22 or 23 seats, an increase of eight or nine from the prelaunch period. Regarding suitability to be prime minister, Gantz is tied with Netanyahu in some polls, something we haven’t seen in another politician for years and never thought we’d see again. In a scenario in which Lapid swallows his pride and merges Yesh Atid with Hosen L’Yisrael, the united center party would defeat Likud 35 to 30 in the 120-seat Knesset. It seems the election campaign, which had been pretty drowsy, came back to life this week with the ex-chief of staff as the potential tiebreaker. Anyone who thought Likud’s immediate responses to Gantz’s speech were overly panicky grasped their importance when the poll results came in. On Balfour Street, where Netanyahu’s people see detailed polls every day, the potential damage had been discerned earlier. As expected, the boost for Hosen L’Yisrael came almost entirely at the expense of Yesh Atid (which in the new polls receives 10 or 11 seats, as in the outgoing Knesset), while Labor (which falls to five or six) – is closer than ever to being wiped out. Labor is liable to be left with only its pensioner supporters, who can’t vote for any other party, as their hands won’t respond to any other command from the brain. The most dangerous place to be these days is on the trail along which Labor Party voters, and even activists, are stampeding toward Gantz’s party headquarters. And not just from Labor. “You won’t believe it, even the Meretz lefties tell me they’ll vote for Gantz,” I was told by a senior figure in that party, which is hovering around the electoral threshold. These voters aren’t deterred by the right-wingers gathering around Gantz. The main aim is to oust Netanyahu, even if some of the people who enter the Knesset in the process are themselves refugees from Netanyahu’s inner circle such as Hauser and Hendel. If this trend continues and if Gantz makes no mistakes along the way (he’d do best to keep mum – his silence paid off), center-left Israelis could well vote strategically on April 9. They’ll flock to Gantz and give him their vote to make him a rival capable of endangering Netanyahu. The slogan could be, “It’s Benny or Bibi,” analogous to “It’s Tzipi or Bibi” in the 2009 election. Back then, Tzipi Livni’s Kadima emerged with one more Knesset seat than Likud, having cannibalized the parties to her left, Labor under Ehud Barak, and Meretz, led by Haim Oron. But the big question, the one that will decide the election, is this: Will Gantz pull four or five seats from the right-wing bloc into the center-left bloc? And the answer to another question could also prove decisive: Will one or two of the parties that made up the outgoing Netanyahu coalition, such as Kulanu, Yisrael Beiteinu, Shas or Habayit Hayehudi, not win the minimum 3.25 percent of the vote (equivalent to four seats) to make it into the Knesset? In that scenario, Netanyahu won’t have enough natural allies to recommend him to the president as the person to form the government. That could be his end. But a cautionary note must be sounded. Immediately after the Gantz blitz, with attention focused on him and the maximum media coverage, there’s an obvious bias in his favor in the polls. We need to wait another two weeks to see whether Wednesday evening’s numbers are the launch pad of Hosen L’Yisrael or its glass ceiling. On Tuesday, Likud will hold its primary for its Knesset slate. The 28 MKs and ministers competing (excluding Netanyahu, who is exempt, and MK Benny Begin, who is retiring) are bidding for the first 18 slots in the national section. They’re joined by three hefty players: former Interior Minister Gideon Sa’ar, Immigrant Absorption Minister Yoav Gallant (who defected from Kulanu) and former Jerusalem Mayor Nir Barkat. The slots from 19th place on will go to candidates elected from the districts and the niche groups, along with three national candidates. Overall, eight or nine currently serving MKs are likely not to return to the Knesset. Here are a few issues to take note of when we wake up Wednesday morning. Will Culture Minister Miri Regev be elected to the top slot? She symbolizes the Netanyahu government more than any other minister. The huckstering, vulgarity, prevarications and provocations, and the sycophancy toward the leader and his wife are synonymous with her, and she’s just fine with that. That Regev is gifted with a total lack of self-awareness was shown again this week when she was interviewed on television and recited, like an intoxicated parrot, Likud’s message sheet against Gantz. Still, or perhaps because of that, she has many fans in Likud. In the past year, when she went too far, support for her waned. If she emerges second to Netanyahu on the slate – a position occupied in the past by Gilad Erdan, Sa’ar (twice) and Kahlon – that will be a resounding message: Regev is Likud 2019. How will Sa’ar fare? Netanyahu, through his grassroots Likud loyalists, and his son via social media, waged trench warfare against Sa’ar. That became an open battle a few months ago when the prime minister announced the existence of the supposed “plot of the century” aimed at depriving him of power. There was no such plot, and if it was some sort of metaphor, it was only about advanced paranoia or hidden motives. Netanyahu’s aim was to remove Sa’ar from the slate completely, or at least keep him out of the top ranks. In the eyes of Netanyahu and his family, Sa’ar is guilty of a host of crimes. They include: his marriage to the television presenter Geula Even, independent positions he took in the previous government, to Netanyahu’s chagrin, and polls that show him as a leading candidate to head the party on the day after. Sa’ar’s election to the top 10 would be a signal to Netanyahu from the party faithful that, with all due respect – and there are heaps of respect – not every whim of his is part of the Ten Commandments. What will be with Oren Hazan? More than any MK in the outgoing Knesset – and in all previous Knessets, too – Hazan, the leader in the number of suspensions and reprimands by the Ethics Committee, was the ugly face of the legislature. The man introduced norms of a neighborhood bully into parliament, with his aggressive body language and insulting language (toward women, the disabled, Arabs). His behavior is urchin-like but not in a cute way. Insults and bad-mouthing are second nature to him. He’s one of those types who, when they rampage in the stairwell, the neighbors lock themselves in and call the police. And Hazan, you’ll be amazed to learn, is very popular. Likudniks adore him. Wherever he goes, the selfie line is long. On Tuesday we’ll find out whether that folksy fondness translates into a place for him on the list in the national section – something that would have been unthinkable in the first half of the current Knesset’s tenure, but today is the prevailing assessment. What will the top 10 look like? The 10 top vote-getters, from slot two onward, will be seen as the party’s leadership. They’re the party’s show window, and include its candidates for ministerial portfolios (even though the ranking won’t oblige Netanyahu in choosing his ministers – loyalty is just as important). Netanyahu would like to see a slate whose top ranks, at least, are such that you could be seen with them on Main Street, with fear of being shamed. In the last two decades, the logic and sense of responsibility of the voters have consistently produced a respectably representative top 10. What about the submarines? While we’re following the Netanyahu investigations in the lavish-gift case and the two favors-for-favorable-news-coverage affairs – cases 2000 and 4000 – it can’t be ruled out that one protagonist of Case 3000, the submarine case, will make it onto the Likud slate. One of the contestants for 29th place on the slate, which is reserved for a representative from the party’s Tel Aviv district, is David Sharan, whom the police have recommended be tried for bribery, fraud and breach of trust, and for money laundering and VAT offenses in the case of the German submarines. Sharan, who was the prime minister’s bureau chief, is supported by powerful figures in the party such as MK David Bitan and Gary Hakim, a loyalist of Energy Minister Yuval Steinitz, who also counts Sharan among his close circle. Likud is a suspect-heavy party: Netanyahu, Labor Minister Haim Katz, Hazan, Bitan. The submarine case has extraordinarily serious implications. The opposition plans to go to town about this lineup, and Sharan will provide them with a strategic weapon. This week Amiram Levin, a reserve major general who is looking for the way, angrily left Avi Gabbay and the Labor Party. By Levin’s account, the advice he offered the besieged party chairman was rejected. According to the one he slammed the door on, Levin demanded a guaranteed spot on the Labor ticket, and when he was turned down, he upped and left. In fact, Gabbay isn’t the only one who has failed to be entranced by Levin’s charms. Two months ago, when he was still a member of Labor, Levin, who has also served as deputy Mossad chief, appealed to two former senior Meretz figures, Haim Oron and Avshalom Vilan, the latter of whom served under Levin in the Sayeret Matkal commando unit. Levin, who was considered one of the most original and daring commanders of the elite unit, had an idea that only a veteran of the storied commandos, known for their fantastic operations, could have devised: I will bring in a large group of new Meretz supporters, and I won’t ask for a seat in the Knesset. What I will request is a commitment that if Meretz joins the government, I will get the senior ministerial portfolio that it receives. Once the two former Meretz MKs, Oron and Vilan, had recovered their powers of speech, they responded to Levin, each in his own way. Everyone else who heard the story reacted similarly: How is that admired commanders, real Israeli heroes, when they enter politics, so often become such weirdos, with so little sense of self-awareness? Take Uzi Dayan, a reserve major general who also headed the Sayeret Matkal and who today is competing for a place on the Likud ticket. His chances are close to zero, but that hasn’t stopped him from declaring that he considers himself a candidate for defense minister. Or Gal Hirsch, for another example, a reserve brigadier general, a respected commander and thinking person whose failed in his bid to become police chief. Nonetheless, he has formed a new political party, Magen (shield), and announced that he will demand the Public Security Ministry when he joins the cabinet. What cabinet? Where? In what movie? He and the others should calm down and admit to themselves that there is only one Benny Gantz. An anti-abortion film that received a funding boost from MyPillow CEO Mike Lindell will be released nationwide in March. According to The Hollywood Reporter, “Unplanned” takes a critical look at abortion provider Planned Parenthood. Film distributer Pure Flix will unveil it at 800 theaters March 29. The film tells the story of Abby Johnson, who worked her way up at a Texas Planned Parenthood to director. She quit in 2009 after watching an abortion on an ultrasound. A trailer for the film was released Thursday. Actress Ashley Bratcher played the character of Johnson. She told Fox News last month she was nearly aborted before her mother, who was 19 at the time, had a change of heart at the clinic on the day of the procedure. Bratcher was unaware of that fact until after she signed on to play Johnson.